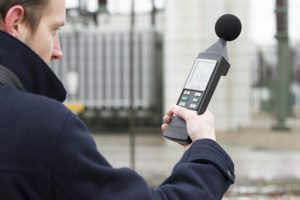 On-Site Noise Assessment | Acoustic Testing | Noise Test | O'Neill Engineered Systems, Inc.
OES Sales Engineers can come to your facility to conduct a noise assessment to determine the scope of your problem. We do this in the pursuit of providing the solution and the expense of this visit can be incorporated into the solution to reduce any upfront cost to the end user. Whether you’re in need of a home noise test or a workplace noise assessment, we offer the acoustic testing needed to control noise. Plant tour to gain an understanding of the operation. Sound Level measurements to determine the current level of noise. Discussions with operators and maintenance personnel to gain an understanding of how the equipment is operated and maintained. Determination of ventilation and other maintenance needs. General discussion of solutions and the challenges they represent.